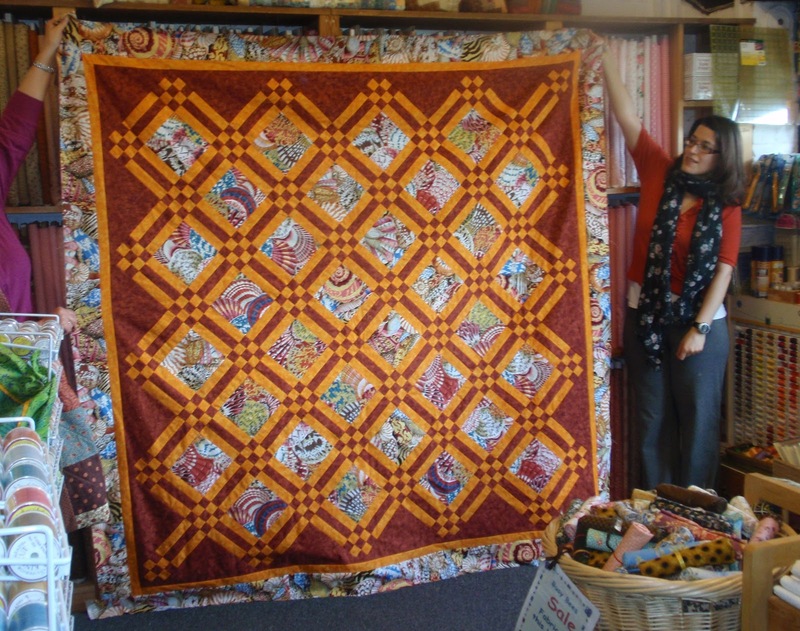 Martha came in to see us yesterday, to buy a backing for her lovely quilt, that she started at Sue's 'Nine Patch Lattice' workshop back in January. 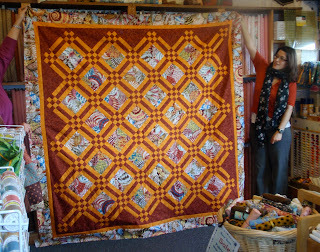 We both thought that the use of colour was very striking and that the quilt looked really good. Thank you Martha for bringing the quilt in for us to see. Both Sue and I love seeing the fruits of your labours. Please bring in any finished work you have started in one of the classes or items you have made using fabric or threads from Busy Bees. We would really like to share them with our other customers and friends. it looks fab. wow right on with the color and pattern.